Julie Kagawa on The Immortal Rules + giveaway! Julie Kagawa is currently on a blog tour to promote THE IMMORTAL RULES, the first book of an amazing new dystopian vampire series. We're big fans of Julie's work and we're very excited to be the tenth stop on the tour! Check out the post and then stick around to learn more about the rest of the tour and enter to win a signed copy of THE IMMORTAL RULES! There was no road to follow, at least, not where I had come out. I did stumble upon a few leftovers of human civilization—old houses crumbling under carpets of weeds and moss, a few rusty car skeletons choked with vines—but the farther I got from the city, the wilder the forest became. I’d had no idea it was this big, that trees could just stretch on forever and ever. I met no one in my travels, human or vampire, though the woods were teeming with wildlife, most of which I had never seen before and knew their names only through stories. Fox and skunk, rabbit and squirrel, snakes, raccoons and endless herds of deer. 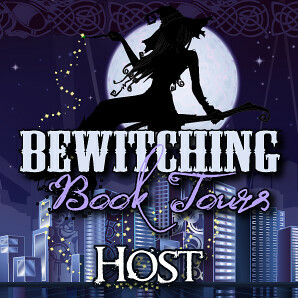 Please visit Once Upon A Twilight for the next stop on The Immortal Rules blog tour. Harlequin is offering an amazing giveaway on their site: a Kindle Touch with a one-of-a-kind Immortal Rules skin! Click on the tour banner above or right here to enter to win if you live in the US or Canada (excluding Quebec). 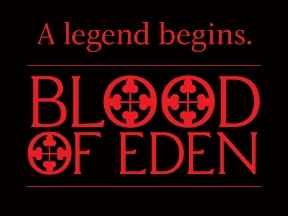 For more information about Julie and her books, check out the Blood of Eden web page or her author website. You can also find her on Facebook and Twitter. You will kill. The only question is when. In the dark days since the insidious Red Lung virus decimated the human population, vampires have risen to rule the crumbling cities and suburbs. Uncontested Princes hold sway over diminished ranks of humans: their "pets." In exchange for their labor, loyalty and of course, their blood, these pets are registered, given food and shelter, permitted to survive. Unregistered humans cling to fringes, scavenging for survival. Allison Sekemoto and her fellow Unregistereds are hunted, not only by vampires, but by rabids, the unholy result of Red Lung-infected vampires feeding on unwary humans. One night, Allie is attacked by a pack of rabids, saved by an unlikely hero...and turned vampire. Uncomfortable in her undead skin, Allie falls in with a ragtag crew of humans seeking a cure, or cures: for Rabidism and for Vampirism. She's passing for human...for now. But the hunger is growing and will not be denied. Not for friendship—not even for love. Harlequin is graciously offering one (1) signed hardcover copy of THE IMMORTAL RULES to a lucky reader! To enter the giveaway, obey the Rafflecopter! Don't forget to enter the Harlequin giveaway as well! To pay the rent, Julie worked in different bookstores over the years, but discovered the managers frowned upon her reading the books she was supposed to be shelving. So she turned to her other passion: training animals. She worked as a professional dog trainer for several years, dodging Chihuahua bites and overly enthusiastic Labradors, until her first book sold and she stopped training to write full-time. 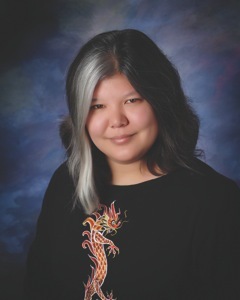 Her third novel, The Iron Queen, became a New York Times bestseller and her debut novel, The Iron King recently won the RITA award for best young-adult fiction novel of 2010. Julie now lives in La Grange, Kentucky, with her husband, two obnoxious cats, one Australian shepherd who is too smart for his own good and the latest addition, a hyperactive papillon. My parents have never tricked me. I think the question will be how many times they did, and most of the time was my mom getting me into go shopping or get the garbage out, small things nothing to big but she surely did, maybe even with money sometimes (i will get them back all the time)but give them when they wanted to have their money in the account and they wanted some extra cash. Yep, and it involved riding a bike. I wasn't amused. Luckily, no they have not tricked me. Yet. Been very luck...never been tricked! Yes, my parents have tricked me. Looking back on it now, I'm glad they did. They actually saved me from learning things I should not have known at such a young age. Ummm, maybe? I'm not sure. Probably. I would imagine they used reverse psychology on me a couple times, what with me not liking to do anything authority tells me to do. Can't think of any specific instance though. My parents were never the tricking kind, really uneventful in our house. Thanks for the giveaway, I look forward to The Immortl Rules. No, my parent never trick me......that I remenber of. I'm sure, but I can't think of a specific incident. Nope, don't think they did, unless I never knew about it! I think my mom used to sneak things we wouldn't ordinarily eat into her recipes, hiding extra veggies into casseroles and things like that. How many books do you think you'll write in this series? I don't think I was ever tricked into doing something either. Negotiated, definitely! I loved the Iron Fey series and cannot wait to read The Immortal Rules! That's such an eery picture and love the brief snippet we get from the book. Thanks for the giveaway! Immortal Rules sounds great. Love Julie's writing. Love the snippet! I love the way you just get drawn into the story. I love the Iron Fey series and can't wait to get my hands on a copy of The Immortal Rules. It seems so much different from the fey world, but still with all of the intrigue and wonderful characters. I love julies's writing because she really brings the characters to life. Amazing author, love the Iron Fey series...I have told all of my friends to read this series and am so excited read The Immortal Rules. I'm sure Julie's vampire lore is unique! I was never tricked either! I loved the Iron Fey Series and I am soo excited to read Immortal Rules! Believe it or not, I have yet to read a vampire book about a -female- vamp hahaha so this should be interesting! The book sounds very good. I'm looking forward to reading it. Love the unique take on vampires and I thoroughly enjoyed reading the book. Now I must read the Iron Fey series! I loooove Julie's books!! I read the Iron Fey series in less than a week! I really cannot wait to read this one!!! 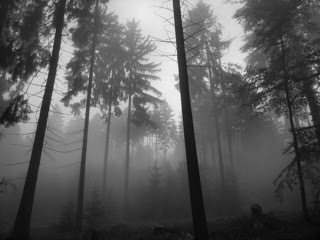 I want to visit that wild forest. It sounds awesome! I am so anxious to read this book!! Thank you so much for this awesome giveway!!! I have the Iron Fey series downloaded trying to get thru everything to read it. This book looks wonderful too! I've heard all great things about the Iron Fey series, I bet this is great too! I have got to start these books soon. From what I've read so far I'm gonna love this book. The cover is greatness! I have been looking forward to reading The Immortal Rules. I can't wait to get my hands on a copy. I love the cover. Thanks for the giveaway. Julie!!! I'm sooo excited for your books! Moaaaaar! The Immortal Rules sounds like such a fantastic book, I can't wait to read it. I think the cover is stunning, I love the red tear. From what I know about the story line do far I know this is going to be great. I've been hearing so much about it that I can't wait to be a part of it. Let's go! I'm really looking forward to reading The Immortal Rules! I don't remember them ever tricking me. Thanks for the giveaway. I'm wondering why Julkie decided to buck the current vamp trend for YA books and go a bit darker. I think if vamps did exist they'd be more like the vamps described here then just like us with a need to drink a little blood. Curse my fumbling fingers! Julie, Julie, Julie!!!! 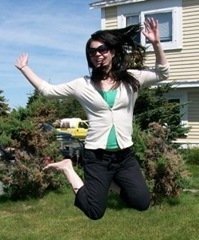 I had fun at the twitter party the other night. I'm looking forward to reading The Immortal Rules, as well as the Iron Fey series. Julie you rock! I just can't keep up with all the books you have coming out. Don't slow down though. such a big fan of julie!! loved her iron fey series so can't wait for this book!!! Thanks for a amazing post and giveaway! I've read Julie's books & fell in love with them. Really Can't wait for this book. Looks like a good book. Can't wait to read. Thank you for this awesome giveaway. I LOVE your books, Julie. I so am looking forward to read this one! The cover rocks. I hope whomever wins this, is going to be very happy! 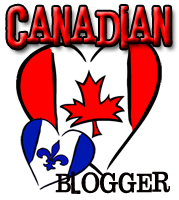 Good luck to all Americans and Canadians on this blog tour! The Iron Fey series are some of my all time favorite books I love them!!! I have heard so many wonderful things about this new series and I can't wait to read it!!! Love paranormal books and the Iron Fey series just made my addiction even worse! ;o) Can't wait for these, lol! Julie has become one of my favorite authors, her writing is amazing, his characters compelling and her stories unique! She's super talented! I haven't read any of your books (yet, my sister keeps trying to get me to read her Iron Fey books), but this one looks really interesting; a possible cure isn't something you usually see in vampire books. LOVE The Iron Fey series and I can't wait to read this one! I love the Iron Fey Series can't wait to read this book sounds so good! This sounds like a great read. Thanks for the giveaway. I've heard so many raves about the Immortal Rules! I'm so excited to read it. I love Julie's books! Love the book trailer. It really gives me an idea of what to expect from the Immortal Rules. "When I'm not writing" with Ada Adams + giveaway! Women of the Otherworld mini-challenge! PAF: Interview with Jeaniene Frost + Giveaway! PAF: Interview with Stacia Kane + giveaway! PAF: Interview with Kevin Hearne + giveaway! PAF: Story by Theresa Meyers + giveaway! PAF: Interview with C.C. Hunter + giveaway! PAF: Story by Christina Henry + giveaway! PAF: Interview with Gini Koch + giveaway! PAF: Story by Cassi Carver + giveaway! 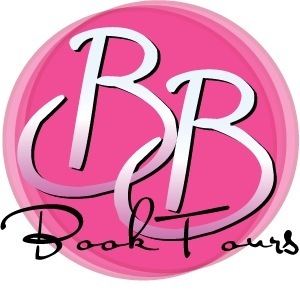 PAF: Interview with Holly Black + Giveaway!